Full-bodied and powerful with masses of plush smooth red fruits, a savoury edge, and well-integrated smooth tannins on the finish. An iron fist in a velvet glove? Try this with hard cheeses or grilled red meats. A côte de bouef sounds right. Catalan brothers Toni and Miquel Coca i Fitó work with small growers from lesser-known regions in various parts of Spain to produce wines that reflect the local terroir. 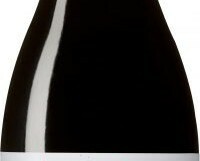 The Jaspi Negre above is a blend of 45% Grenache, 25% Carignan, 15% Cabernet and 15% Syrah. Montsant is a large C-shaped region, almost completely surrounding Priorat, high up in the mountains south-west of Barcelona.